Net Neutrality protest at the Hilton hotel on Connecticut avenue, in Washington, DC, on December 7, 2017. The new chairman of the FCC, Ajit Pai, receives for dinner at the Hilton on that evening. He is calling for a vote to kill net neutrality on December 14, 2017. For AFP Washington Bureau. 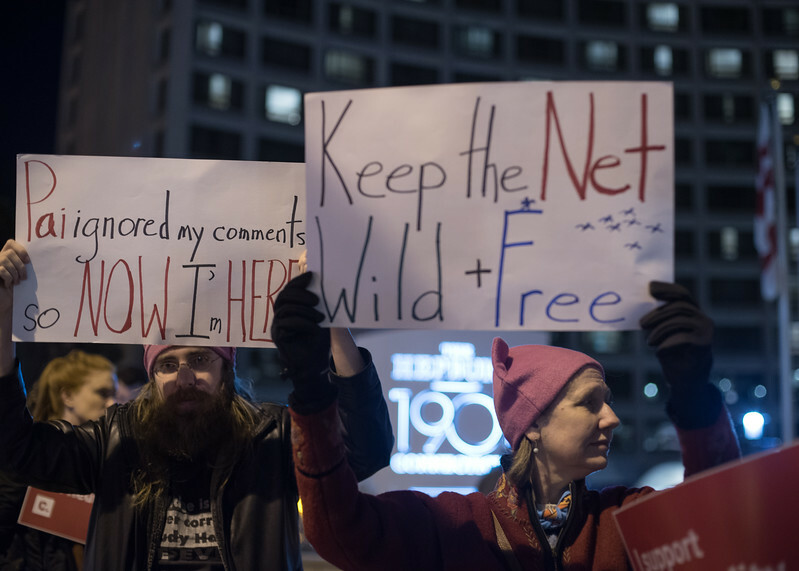 A couple participates in the Net Neutrality protest at the Hilton hotel on Connecticut avenue, in Washington, DC, on December 7, 2017. The new chairman of the FCC, Ajit Pai, receives for dinner at the Hilton on that evening. He is calling for a vote to kill net neutrality on December 14, 2017.